We get excited about adding innovation to the FileMaker platform! 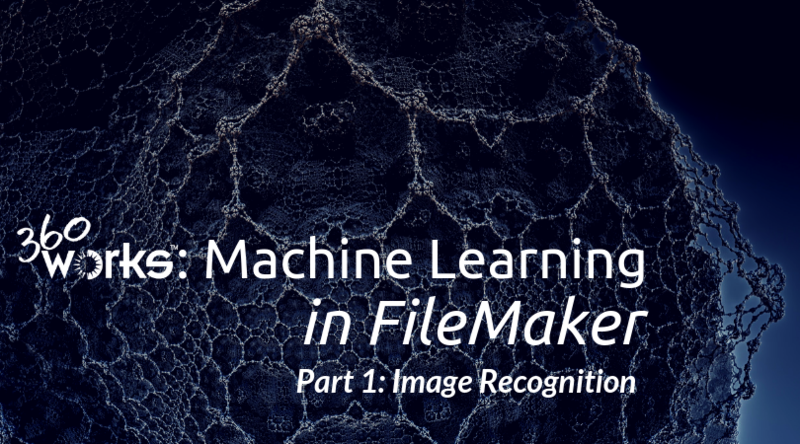 Today we are showing you how to use machine learning in FileMaker to detect objects, scenes, and images. This can be useful for FileMaker databases that need to be able to identify objects and characteristics within an image file and report on the findings within the solution. Joe Martin, Senior Developer and Product Lead at 360Works, is demonstrating the process in the video below. 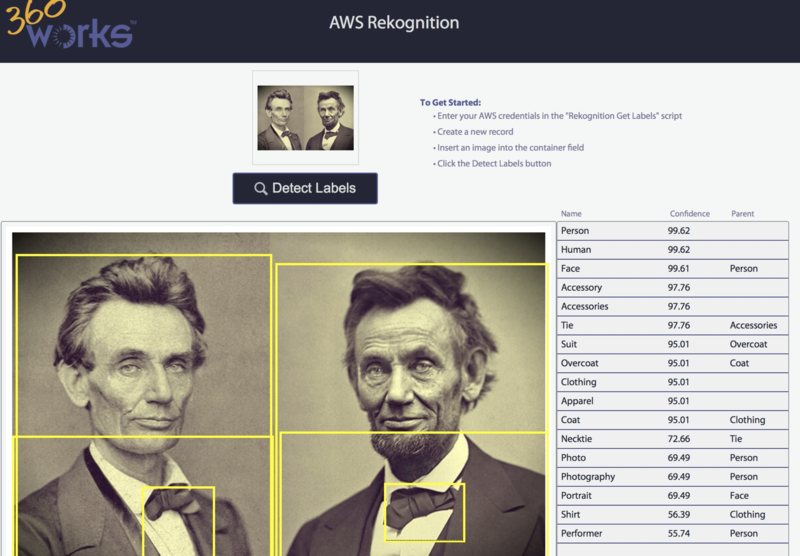 He will be building off of AWS scripts from Jesse Barnum, President of 360Works, from his presentation at the 2018 FileMaker Developer Conference. See Jesse's past presentation and scripts in "Session Materials". Want more AWS technology in FileMaker, but no time to implement it into your solution? Let us do the work for you. Email us at infobox@360works.com for consulting or questions.